General Dynamics’ mission systems business has secured a contract from the U.S. Navy to update and maintain a satellite simulator at the Naval Postgraduate School. The simulator at the school’s Spacecraft Research and Design Center/Adaptive Optics Center of Excellence is a model of a communications satellite, Navy Fleet Satellite, and works to help students improve their skills to manage technical issues related to space platforms, the company said Tuesday. 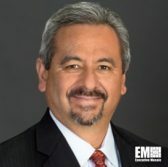 Manny Mora, a vice president and general manager of space and intelligence systems at General Dynamics Mission Systems, said the company’s naval satellite operations center team has supported the school for more than a decade and efforts to update the simulator system seek to offer training opportunities for students. “They will have a realistic, ‘hands-on’ learning experience, while we support the development of future U.S. Department of Defense space engineers and leaders,” Mora added. The company’s NAVSOC team at Naval Air Station in California helps the service operate the Ultra-high Frequency Follow-on and FLTSAT satellite constellations and supports the postgraduate school’s instructors as they teach students about spacecraft design and maintenance, space payloads and other space system-related technical topics.